PIN, Personal Identification Number, is a short numeric value. It is usually used as a second authentication mechanism. For example, at an ATM you swipe your debit card (what you have authentication) and then type PIN (what you know authentication) to get access to your account Password, on the other hand, are supposed to be long and use alphanumeric values (lower and upper case letters, digits, special characters). 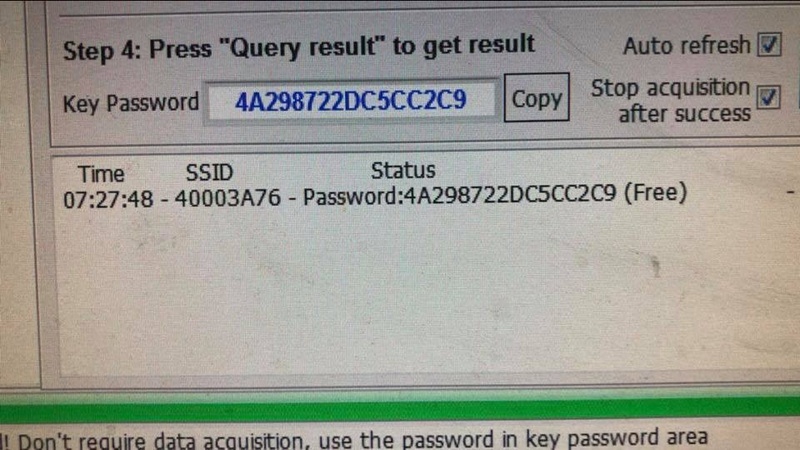 Key password: it’s need it for the algorythm for calculating key data. Good to know: another important details to know is that those are two different system of key learning. – Peugeot uses the first way, which is to ADD a transponder to the car. The new transponder data may be totally unknown from the car, and the PIN authorizes the add of it. Same as most car brands. – Mercedes uses mostly pre-known data. Which means you need to read KEY memory, as 100% if the keys (current and futures) are already known by the car in advance. (Like BMW !) usually 8 or 10 keys are available. The password is required to calculate the key data that you will need to pre-code the key, based on what you have read inside the EIS.